christmas tree cat ornaments. playful kitty cat christmas tree ornaments set of 6. christmas and holiday decoration ideas collection. playful little kittens: 6-pc christmas tree cat ornaments. our playful kittens will bring much delight to young and old. adorable eyes peer from the cute faces of these adorable kitty cat ornaments. 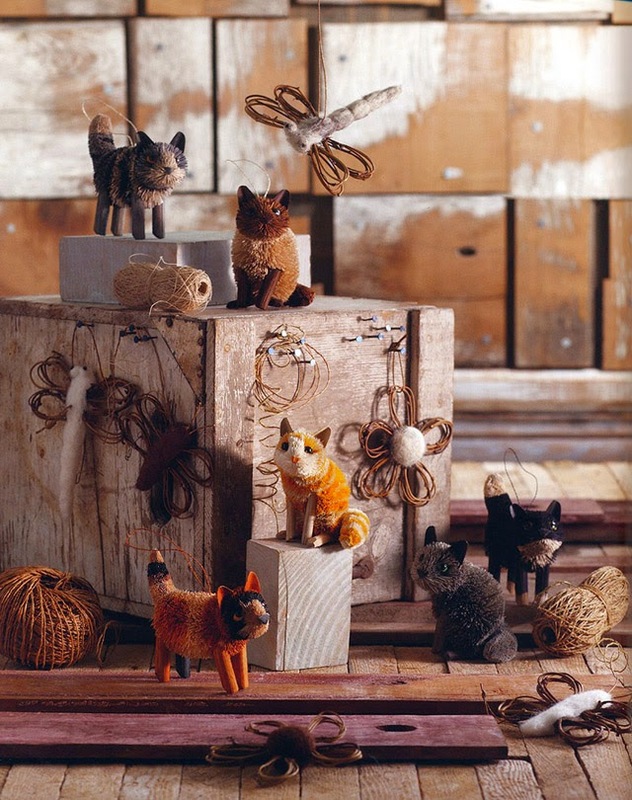 our adorable kitty cats are hand-crafted from natural sisal. these beautiful and highly decorative ornaments are meticulously crafted from sisal by master artisans. each cat ornament is fitted a jute twine monofilament loop, making it easy to hang these wonderful ornaments on your christmas tree. decorating your christmas tree is one of the most beautiful holiday traditions. it is a unique opportunity to bring the family together and create memories that will last a life time. our mischievous kittens, with their adorable looks, will look right at home in any interior. a nice set of heirloom quality ornaments sure to be enjoyed for many years to come.